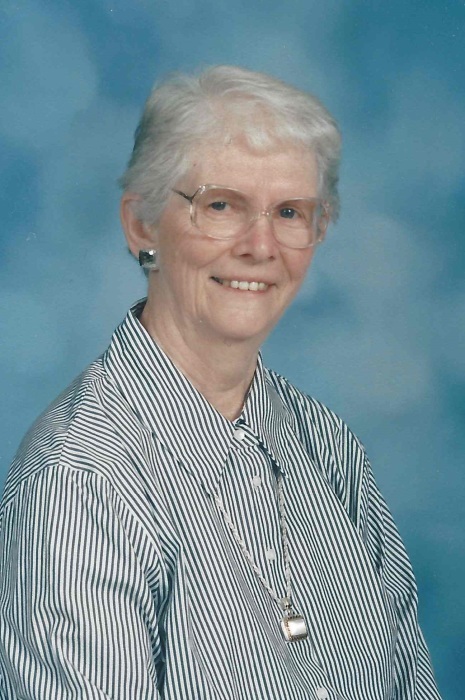 Mary Elizabeth “Lib” Johnson, 91, of Adamstown, Maryland passed away from this life on Monday, February 4, 2019 at Edenton Retirement Community in Frederick, Maryland surrounded by her loving family. She was born on July 2,1927 in Dickerson, Maryland. She was the daughter of the late Gilbert and Grace Roberson. She was preceded in death by her husband, Luther Eugene “Gene” Johnson and her son Luther Eugene “Bubba” Johnson, Jr.
She is survived by her daughter Linda Delphey and husband, Jay, son Leslie “Ed” Johnson and wife, Sue, and sister Joyce Parmer. She is also survived by six grandchildren, Paula Dougherty and husband Andrew, Lora Iames and husband Thomas, Lauren King and husband Patrick, Ashley Mason and husband Dan, Steven Johnson and wife Brittany, Matt Johnson and 11 great grandchildren. Lib retired from State Farm Insurance Company after 21 years. She was just recognized by Carroll Manor Fire Company for 51 years of devoted volunteer service. She was the oldest living member of Carroll Manor Fire Company at the time of her death. In her retirement years she enjoyed playing bingo and spending time with her family. Frederick, MD. A celebration of Lib’s life journey will take place on Saturday, February 9, at the funeral home at 12:00 pm with Rev. Tim May officiating. A luncheon will follow at Carroll Manor Fire Department in Adamstown, MD. Interment will be at Monocacy Cemetery in Beallsville, MD. In lieu of flowers donations may be made to Carroll Manor Fire Company, P.O. Box 7, Adamstown, MD 21710.